Create a Vacuum Effect of Massive Magnetism That Breaks Every Rule of the Game. I've created something that, for the first time, is 100% customized to YOU, to tap into your BEING, which is the only real value you have to offer women! And obviously, this doesn't work! Where it's now all about the words you say and the things you DO. And this doesn't work EITHER! Your soul, your uniqueness, your being isn't something you can logically understand. It's something that you have to EMOTIONALLY RECOGNIZE. It's something you have to EXPERIENCE. It's there to get you back into your seat of power. As long as you stay stuck in the "doing", the game will always feel empty. But with YOU - the REAL you. You can't keep trying to fill the void by looking outside. There is so much information out there, that it's easy to get stuck in the weeds. As soon as you tap into your uniqueness... Into your soul... Into your being - Everything else will flow from there. You will not have to waste all of this time learning new techniques, tips, tricks that don't work - Everything you do will be MASSIVELY IMPACTFUL from the start because it will come from the right place. If you're intermediate, you probably already know what to "do" - And that's EXACTLY THE PROBLEM. You've been "doing", while focusing on the wrong "being". And we're going to take that "doing", and move it to the right "being". If you're intermediate, you've had some good nights out, you've had those epic experiences that have you hooked on game. With TenGame, you can - and you WILL. If you're advanced, it's all about the nuances. To add on top of it - You're the best out of all of your friends, the best out of all your wings - there's no one to guide you forward, there's no one to point these nuances out. It's a lot harder to go from a 9.5 to a 10 out of 10 than to go from a 6 to a 8 out of ten. The subtle tweaks, the adjustments, the precision - THAT'S what you will get out of TenGame. That means - TenGame is not about the QUANTITY of content, it's about the QUALITY. That's why TenGame is built on TEN CORE CONCEPTS! And with these concepts at your fingertips, you will no longer have to guess your way through life - you will simply KNOW. It doesn't matter if you're a beginner, intermediate, or advanced - these 10 Laws encompass everything that there is when it comes to game. Approach Anxiety, Confidence, Congruence, Conversation, Escalation - everything in-between is covered in-depth within TenGame. The soul isn't something you can put into words, but when you see it - you recognize it. I literally included ALL of my previously unreleased INFIELD FOOTAGE from YEARS of me going out gaming so you can SEE IT, and emotionally recognize it - "Oh... So THAT'S WHAT GAME LOOKS LIKE!" The "being" isn't something you can put into words - you simply have to see it. "Knowing" isn't enough to get you to truly UNDERSTAND. You have to transition from the "knowing" to the "being"
Even when you focus on the being, the doing has it's place. We want to make sure that you not only get results... But that you continuously improve and never lose what you learn. That's why we went ABOVE and BEYOND to give you Accountability Teleconferences as part of the TenGame package. We want to avoid the "get it" and "forget it" mentality - and actually make sure that you are getting MAXIMUM RESULTS from everything you learn. Not only that, but you also get 5 AWESOME BONUSES that aren't available anywhere else. TenGame isn’t just a “do this” or “do that” product - it lets you tap deep into your human essence. Extreme Progress… Massive Transformation… Complete Mastery… Yeah… IT DOES THAT. Once you experience TenGame, you can never go back. a hard-hitting, high-voltage, extreme octane experience powered by the earth-shattering brilliance of a pickup virtuoso. It will shatter, smash, and dramatically revolutionize game as we know it. TenGame will harness your self-expression, moves you past the labels, masks, and identities that you have created for yourself, and get you back in touch with your true essence. Everyone around you will be awe-struck in amazement, you will be getting massive results - and everyone around you will wonder how you’re doing it. Because TenGame encourages you to bring your REAL SELF out, you will achieve a new level of mastery. Once you go through it, you will finally be meeting yourself for the first time - YOU… WILL… BE… REBORN. TenGame gives you the encouragement and guidance to move through any barrier in front of you, and reach a new plateau when it comes to self-expression, self-empowerment, and self-mastery. And from that seat of power, you will see things differently. As soon as you get TenGame, you will find yourself in a new reality. It’s right before your eyes… it’s right there in front of you… and as soon as you see it, you will never see things the same way again. the KEY to unlocking your inner reality, it’s the only way to change your perception and re-shift your focus back on the being. TenGame opens the door to a new state of BEING… a state of KNOWING. TenGame creates the room you need for the “being” to come out. This is the key... to unlock the door... to the new you. Finally break through those sticking points you’ve had… maybe you just discovered a new one, or maybe you have had them for a long time - TenGame will help! Re-connect with what makes YOU… YOU… and use that to your advantage in every situation. Make the game work for you… instead of you having to work for the game. Recapture the passion and excitement of the game, as if today was your first day… that childish sense of exploration, that new-game smell - re-live it again and again! So, are you ready to tap into the REAL YOU? Are you ready to experience a NEW LEVEL OF GAME? Are you ready to finally feel like you BELONG… like your existence has MEANING… and PURPOSE? INCEPTION is the starting point of ALL GAME. INCEPTION is the core package, it gives you the opportunity to get your foot on the right foundation, and set the compass to guide you forward into massive progress. DESTINY is the HIDDEN POWER that controls YOUR FUTURE. DESTINY is a step above… a higher level… a new plateau. With the Live Event & Recording, you will be able to get new eye-opening insights. An extra month of Accountability means that your results will be that much more long-lasting. The Tyler/Julien Advanced Game Teleconference will give you a new perspective on game when played at the highest level. The Bootcamp Debrief segment gives you an inside look into teachings that would usually cost you THOUSANDS of dollars. There is so much value, that you are guaranteed to feel the impact of DESTINY for a long time. LEGACY is the full experience, the big kahuna, the real deal. Everything that SHOULD be in a true masterpiece can be found inside LEGACY. An extra month of Accountability Calls (total of 3 months), this means that the teachings you experience the massive impact of TenGame well beyond the time you watch the content - you will come back to it again and again, finding new nuances and angles every time. A whole entire Bootcamp Debrief (total of 2) means that the knowledge which is usually reserved for our private students will be available to you. There is so much eye-opening advice here that this alone is worth the upgrade. Tyler vs Julien Compilation - Want to see Tyler and Julien steal girls from each other? Need we say more? GET IT! Special Videos With FIVE other RSD Instructors (Todd, Jeff, Max, Luke, and Tyler) created SPECIFICALLY for the LEGACY package - hand-crafted by the hands of baby angels themselves - these videos will impart a new level of deep-seeded wisdom that is sure to transform your life… forever. Last but not least… inside LEGACY… you get something REALLY SPECIAL! 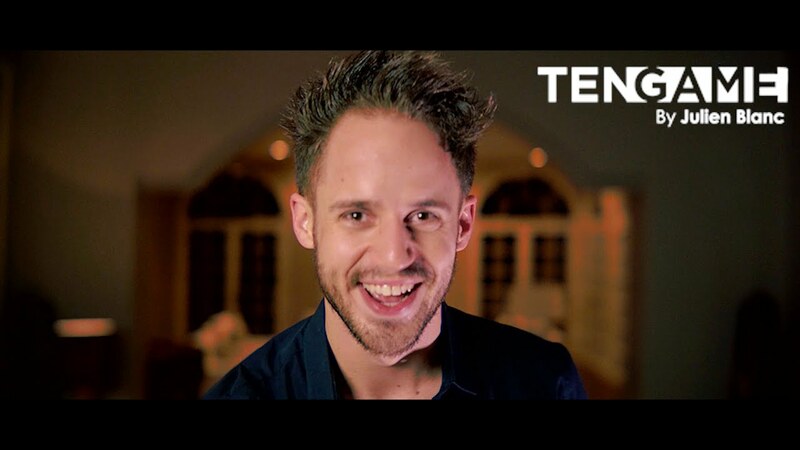 You get to have a Virtual Dinner with Julien & Tyler… that means that you will get to virtual join us at the dinner table to experience all of the shenanigans, the insights, the epiphanies, and the delicious goodness of epic proportions that highlight such an event - This is a once in a lifetime opportunity, so make sure you DON’T MISS OUT ON THIS! Immediately, you will have a sense of direction, you’ll realize what the destination has been all along. You will have a sense of comfort and understanding, you will no longer have to aimlessly wander through life, and through game… You will know the path and you will have the self-trust and definity to know you can make it. You will no longer have to wonder… YOU WILL KNOW. After ONE DAY, you will catch yourself taking action without effort - what used to take effort to build yourself up to do - you will do automatically, it will surprise you. You will find yourself getting to where you wanted to be without having to force it. You’ll take the first step before even realizing that you have taken a step - the steps happen organically. After ONE MONTH, it will finally click that there is no going back… no more “what if I lose this”... you will realize that YOU CAN’T LOSE THIS! The only thing you will lose is your previous limited reality. You will start owning it more and more - the previous reality will start fading away in the background until it is nothing but a distant dream. You’ll be excited - you’ll be going out and having amazing experiences, gettinglost in the world of adventures and fun. After ONE YEAR, you will have ZERO WORRY about ever losing this. You will find yourself living a life in full abundance - either with a girl you love if you chose to or multiple women. Options will never be a concern again, not only with girls, but you will experience abundance in business, family, and friendships. TenGame is a re-definition of your existence as you know it. ...it means walking out of your front door with a certain sense of peace… a sense of belonging. Because at the end of the day, THE GAME is all about THE SOUL. This is a SPIRITUAL experience. 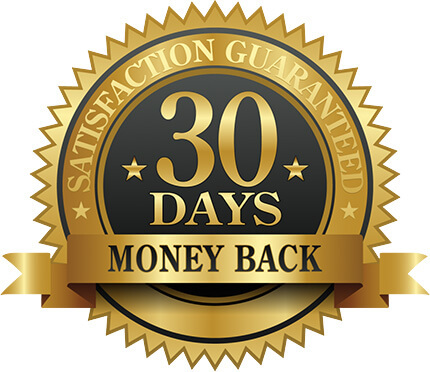 TenGame has a 30-day money-back guarantee. Get TenGame... in fact... get it with the INTENTION of scamming it. Get TenGame, try it, and if it doesn't completely change the way you live your life, all you have to do is let us know within 30 days of your purchase, and we will give you a refund - no questions asked. TenGame is a phenomenal program. TenGame is pure, it’s concise, it’s to the point, and it’s filled with some of the absolute best content that I have ever created. This is the most personal product I’ve ever created... not just for myself… but for you. To be able to change your life with this product means the world to me - to add some color, some excitement, some passion to your life… THAT… is what makes TenGame so special. This is a YOU PRODUCT. I know it sounds cheesy, but it’s true… I made this TenGame FOR YOU. This is something I am extremely proud of… this is something I wish I had in my own life… and I am extremely excited to be able to share it with you. I’ll be there to guide you every step of the way, and I promise that at the end - you’ll come out a new person. I’m really excited to see you on the other side.